The Red Sox have set a Friday deadline for Jason Varitek. 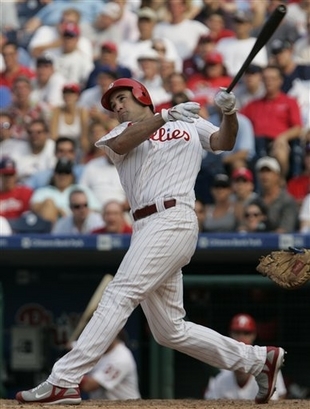 The deal would pay him a base salary of $5 million dollars for 2009 and a club option for 2010 worth $5 million dollars. if he doesn’t make his mind up by Friday Boston would likely trade for a younger catcher, maybe Jarrod Saltamacchia (that was a mouthful), of the Texas Rangers or Miguel Montero, of the Arizona Diamondbacks. Varitek will turn 37 in April. Last season he batted .220, with 13 home runs, and 43 RBI’s. He was backup to Joe Mauer of the Twins in the 2008 All-Star Game , his third all-star game, at Yankee Stadium and caught Jon Lester’s no-hitter. Varitek will probably start this season and will have Josh Bard or a young catcher as his backup this season and in 2010 will mentor a young catcher. It is also possible that Boston wants a young catcher to catch knuckleballer Tim Wakefield. That is unlikely though because Wakefield is close to retirement. 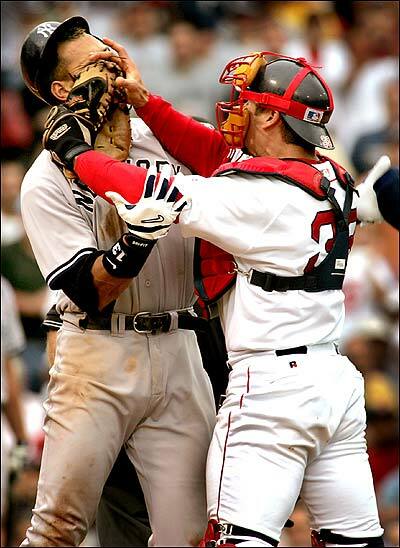 I hope Varitek comes back tomorrow! Also I just noticed that in past entries “Varitek” is spelt “Varitex.” Sorry.